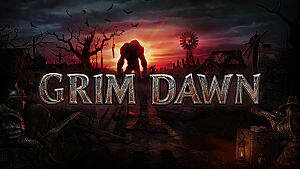 More than a year after the game's official release (and following a lengthy Early Access period), we're finally getting an actual real expansion to Grim Dawn that adds more than just a new combat mode. In addition to the game's storyline moving forward with two, full new chapters in Ashes Of Malmouth, the level and devotion caps have both been increased, offering new build opportunities with extra skills and constellations. 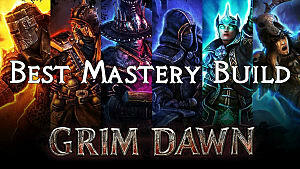 We've previously looked at some of the best builds available in Grim Dawn, but it may be time to revise that category as two whole new mastery classes have arrived: the Necromancer and Inquisitor! 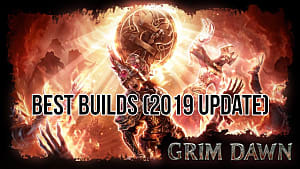 Here, we're going to take a look at some of the undead mayhem that can be unleashed with killer Necro builds across the base game or in the expansion areas. 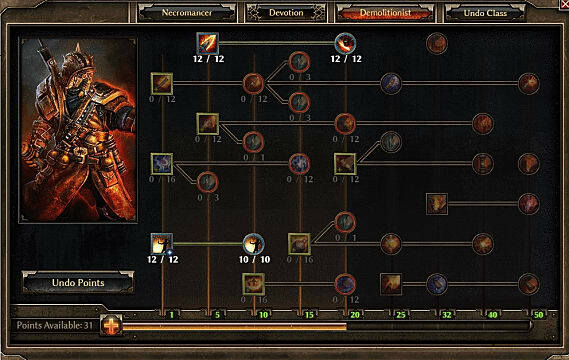 It should come as no surprise that the Necromancer is primarily a pet-focused build, with the main ability to summon several skeletons at once that can be upgraded over time. 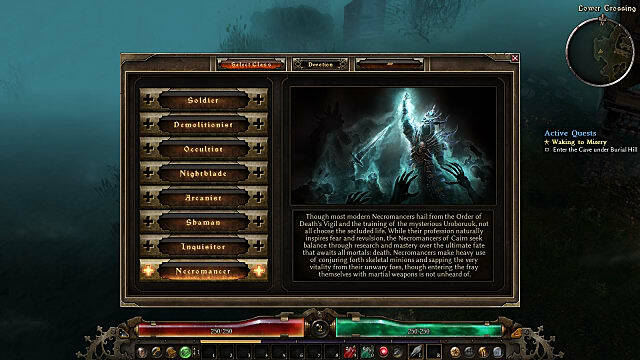 It's like being back in the glory days of Diablo 2 all over again! Your pick for the second class will determine how the class plays and whether you want to go full steam ahead into summoning mastery or augment that ability with other power. 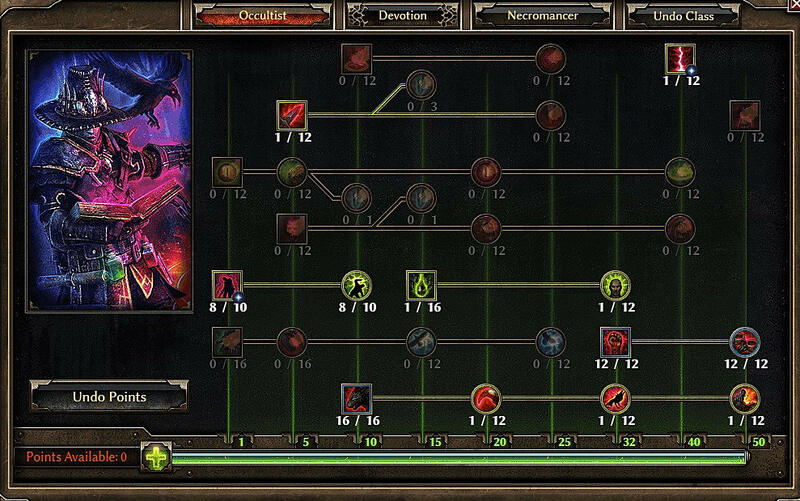 The Deathknight (Necromancer + Soldier) seems like the most obvious mastery combination, but sadly, this doesn't have the synergy you'd expect. Other than the ability to intermittently deal extra damage and heal yourself a bit with physical attacks, there's not a ton of overlap between the two classes for min/maxing purposes. 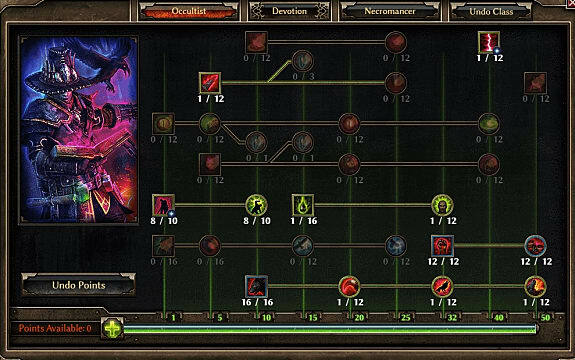 It's not a completely nonviable build by any means -- a Necromancer with tons of health and armor who can attack while using pets isn't useless -- but there are builds that work more smoothly together. More than likely, this won't be your first pick. 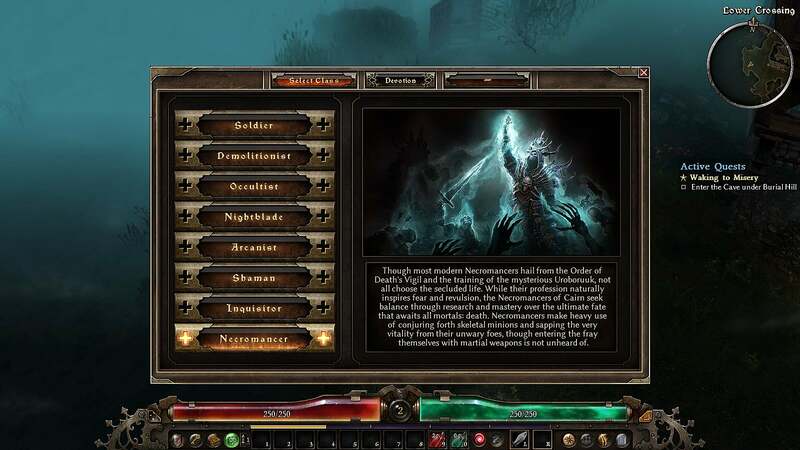 You can get some crazy powerful builds by adding the Shaman to just about anything, and the Necromancer is no exception. Our Shaman/Necro build is all about letting other creatures do the work for you, so don't even bother getting into melee -- unless the situation has gotten dire. 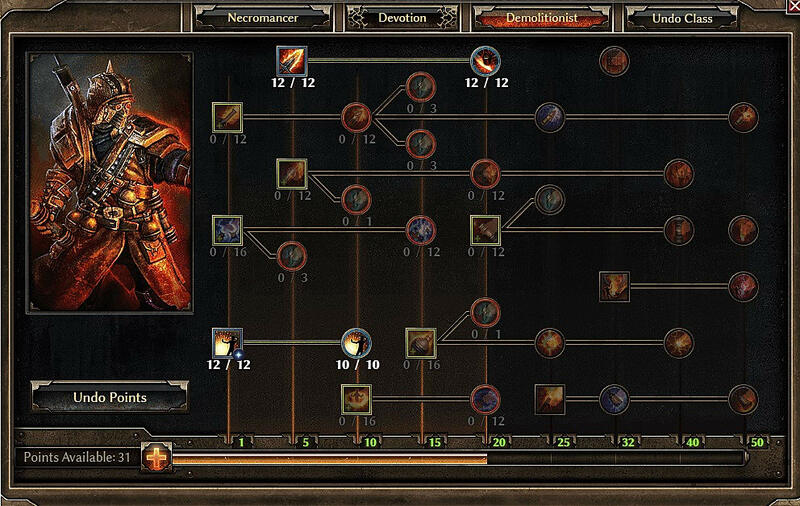 On the Necro side, fully upgrade the Raise Skeletons, Undead Legions, and Will Of The Crypt branch of the skill tree. 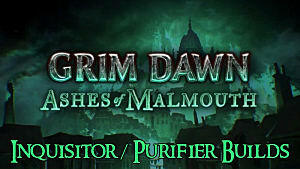 When it comes available, fully upgrade the Summon Blight Fiend, Rotting Fumes, and Blight Burst path. We want tons of skeletons and zombies, and they need to be in top shape! Don't even bother with Reaping Strike, Drain Essence, or anything of the sort, because we aren't planning on hitting things ourselves -- that's what minions are for! On the Shaman side, upgrade the heck out of Devouring Swarm straight away, which is essentially going to take the place of your main attack. Summon Briarthorn should be your next priority, for even more summoned pet action. Other than that, just put some points into Heart Of The Wild so you have a means to heal and buff yourself when someone gets through your summoned army. Flaming skeletons? Yes, please! There are a lot of different ways to go about this combination, but for maximum focus we're only going to take a grand total of four Demolitionist skills. 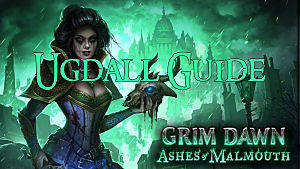 Flame Touch and Temper on the top branch of the Demolotionist skill tree imbue allies with fire damage, and who doesn't want their undead army to be lighting everything aflame all around them? Pump these up to max as soon as you can. From there, we jump way down to a lower branch for Flashbang and Searing Light, which will be your crowd control abilities so you can keep enemy hordes manageable while your flaming skeletons deal with them. 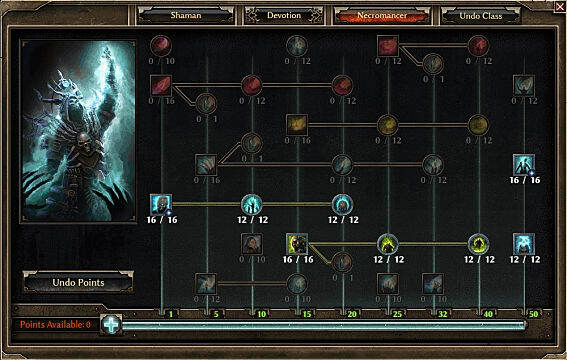 On the Necromancer side, anything from the middle branch on down will be helpful to you, but obviously you want Raise Skeletons and Undead Legion. 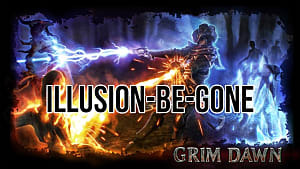 Call Of The Grave and Soul Harvest offer great extra bonuses to those flaming skeletons, and if you want some retaliation ability, Spectral Wrath isn't a bad way to go. 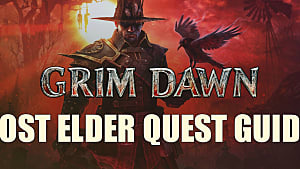 Yet again we're going to play to the pet summoning strengths of the Necromancer, so just like with the Necro/Shaman combo above, we'll max out the Raise Skeletons and Summon Blight Fiend skill paths. 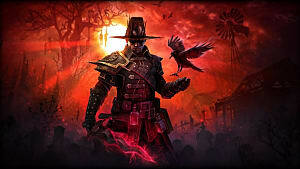 The difference then will be on the Occultist side, where at first your focus will be on slowing and weakening enemies with Curse of Frailty and Vulnerability. While slowed and hexed, your summoned minions will make short work of the monstrous creatures trying to kill you. When it becomes available, shift to the Summon Hellhound path for an extra pet to play with. In the later levels, make sure to use Bonds Of Bysmiel so your minions have loads of extra health! 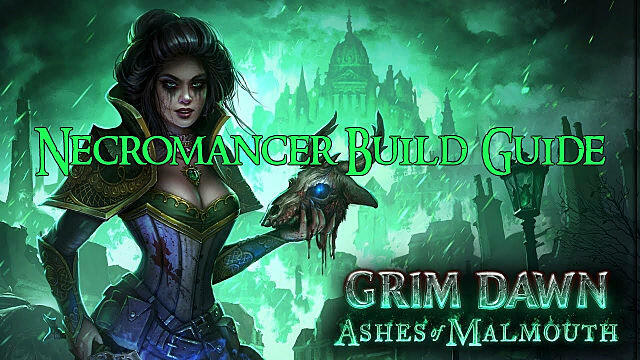 These are the Grim Dawn Necromancer builds we're having the most fun with since the DLC's release -- what did you think of our picks, and what combinations and skill paths do you recommend we try out? 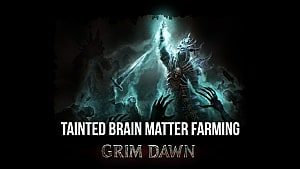 Let us know in the comments below, and if you're just getting started with the game and need help with this deadly post-apocalyptic ARPG, be sure to check out the rest of our Grim Dawn guides.